Super Bowl weekend is a time for friends, family -- and, according to statistics, enough food to feed a small village. In the two weeks leading up to the game last year, consumers spent $1.3 billion on beer and cider, $224 million on tortilla chips, and $198 million on frozen pizza, among other treats, according to Nielsen. Nielsen also reported that consumers spent $80 million chicken wings, and this year, the National Chicken Council expects that number to climb even higher. The Vince Lombardi Trophy is seen before a news conference by Commissioner Roger Goodell in advance of the Super Bowl 52 football game, Wednesday, Jan. 31, 2018, in Minneapolis. The group said that this year, fans are expected to eat 1.35 billion chicken wings, an all-time high. The National Retail Federation reported that viewers and partygoers will spend an average of $81.17 on food, decorations, apparel and more for the Super Bowl this year. Total spending surrounding the Super Bowl is expected to top $15.3 billion. 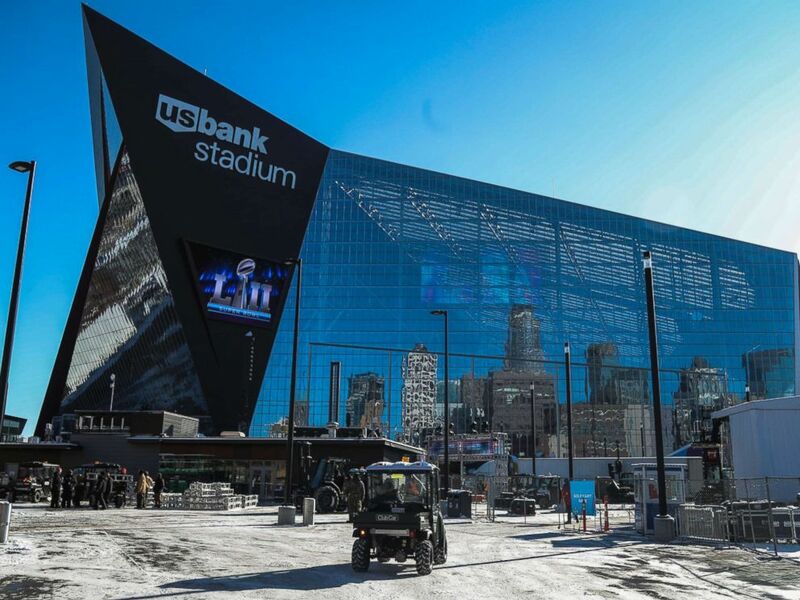 Preparations for Super Bowl LII continue around US Bank Stadium in Minneapolis, Minnesota, Jan. 31, 2018. A relatively modest consumption of foods and beverages in a game day party menu, including pizza, chicken wings, potato chips, beef nachos and beer or sodas, adds up to more than 2,400 calories and 121 g of fat according to the USDA National Nutrient Database. Nielsen reported 111.3 million people watched Super Bowl LI last year. The NRF added 188.5 million people are expected to watch it this year. The Super Bowl has only gone into overtime once -- during 2017's Super Bowl LI featuring the New England Patriots vs. the Atlanta Falcons. 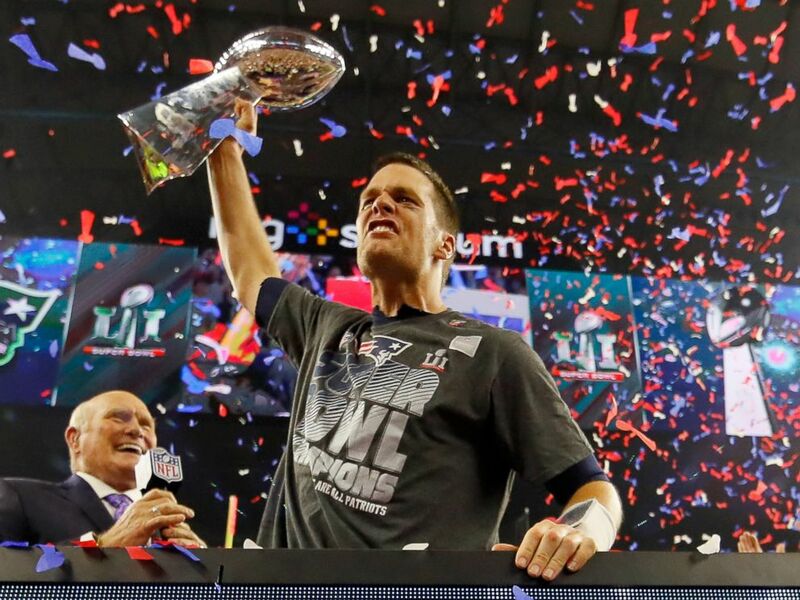 Tom Brady of the New England Patriots celebrates with the Vince Lombardi Trophy after defeating the Atlanta Falcons during Super Bowl 51 at NRG Stadium on Feb. 5, 2017 in Houston, Texas. The Pittsburgh Steelers have won six Super Bowls -- the most of any team, though the Patriots could tie that record this year. This will be Tom Brady’s eighth Super Bowl -- a new record. The Patriots’ rings commemorating their Super Bowl LI win have 283 diamonds -- the most ever used in a Super Bowl ring. 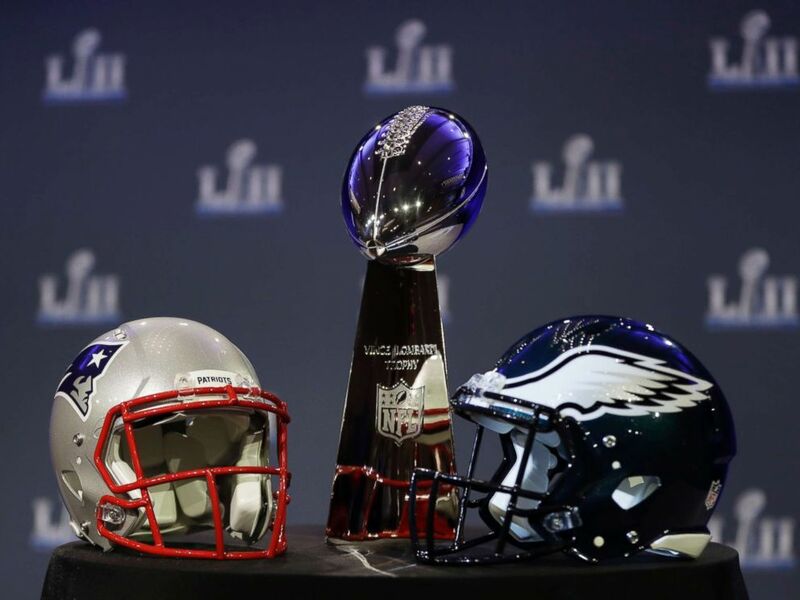 The Vince Lombardi Trophy given to the winner of the Super Bowl is made by Tiffany & Co. is made of 7 pounds of sterling silver and takes over four months to create, the jewelry company reported.